Wire2Fish And Abu Garcia Giveaway! Post subject: Wire2Fish And Abu Garcia Giveaway! Enter for chance to win a Revo ALX baitcasting reel from Abu Garcia, valued at $249.00 from TinBoats sponsor Wired2Fish along with Abu Garcia! The name Revo is synonymous with high quality and durability. From the old days with round reels to the new age of lightweight, low profile power winches, Abu Garcia continues to create great new products for grassroots anglers as well as professional anglers. 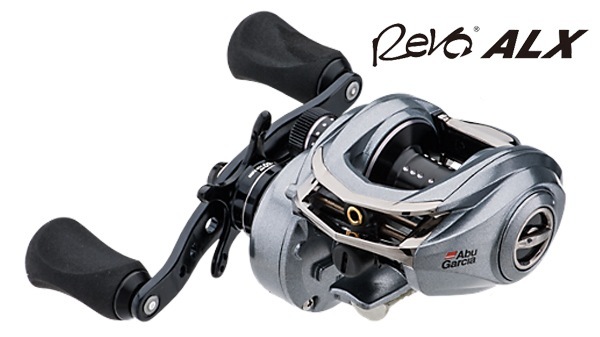 In our latest giveaway we are going to give you a chance to win of their newest reels, the Revo ALX, with 9 ball bearings, 6.4:1 gear ratio and a very light 5.5. ounces of power. They have just begun to hit the marketplace and we have 4 of them plus a cool looking Abu Garcia hat and a Abu Garcia Solarshade neck gator for each winner. How cool is that? This giveaway ends October 4th, 2016. 4 winners. Good luck! You may enter once per day per email address! Every day should be Fender Day! BTW....I'm in to win this one!